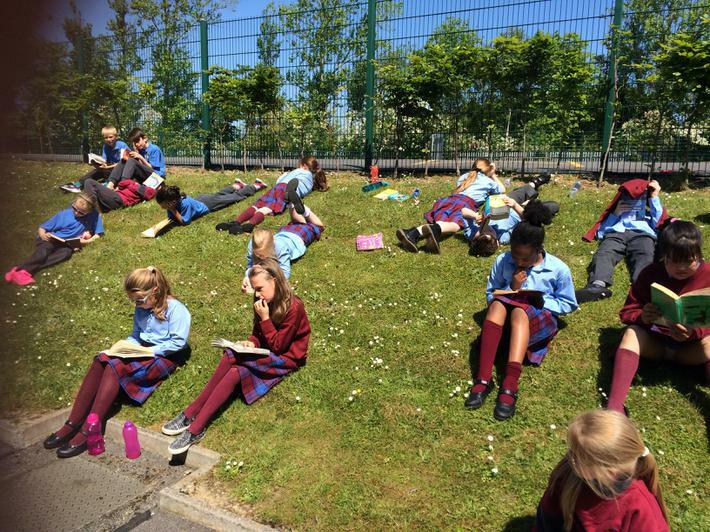 Enjoying DEAR time in the sun. 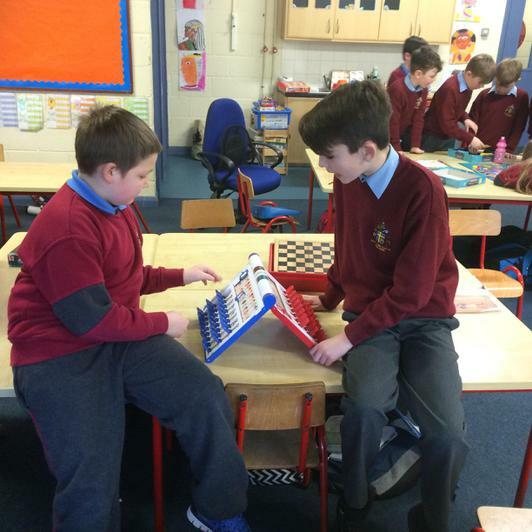 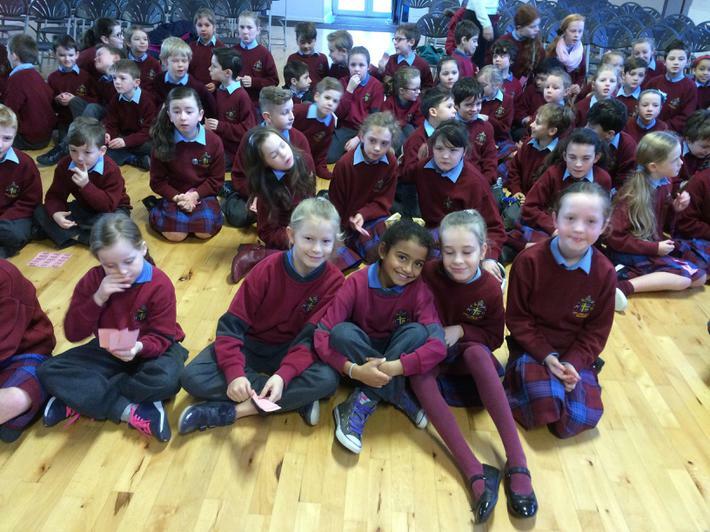 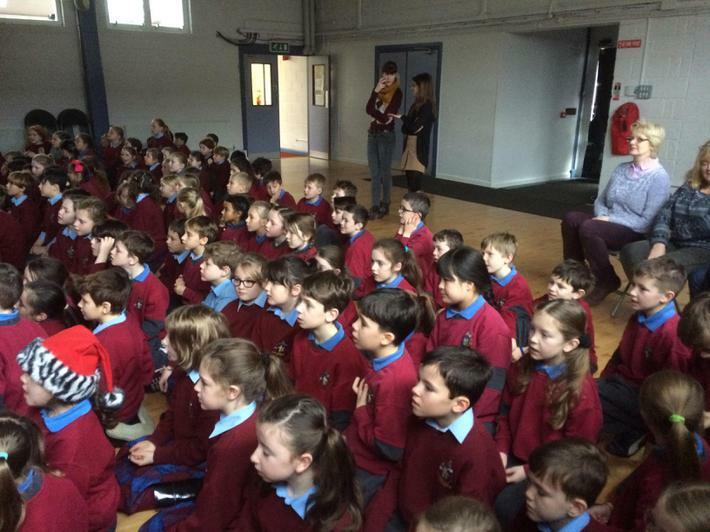 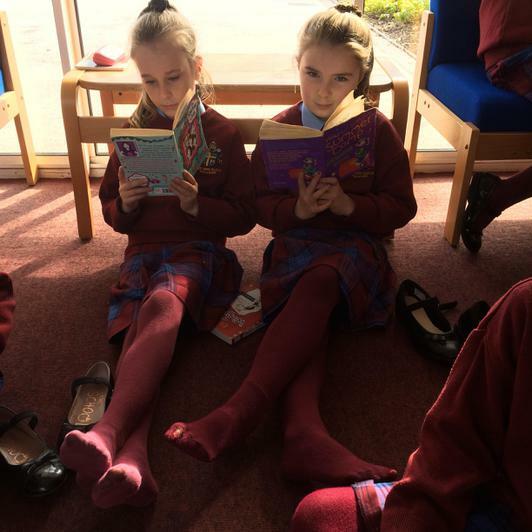 We celebrated World Book Day on the 3rd of March this year. 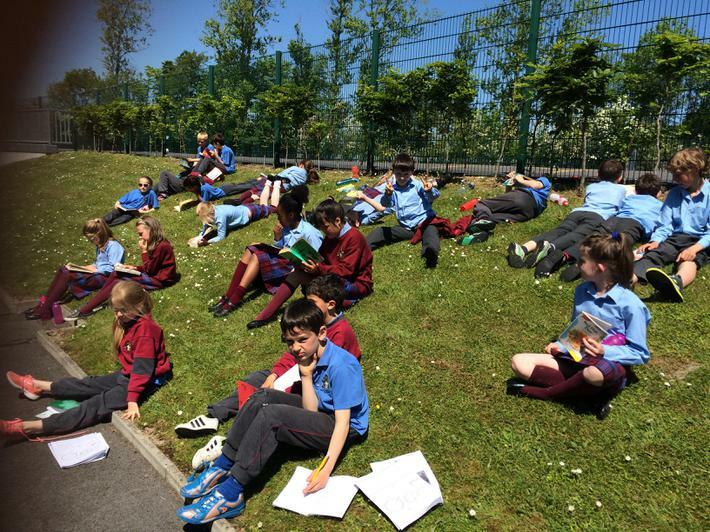 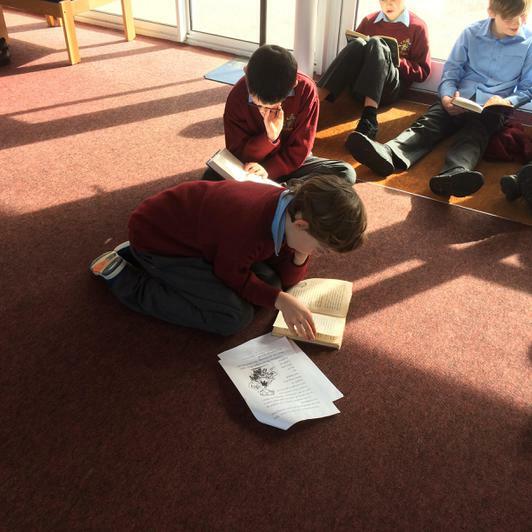 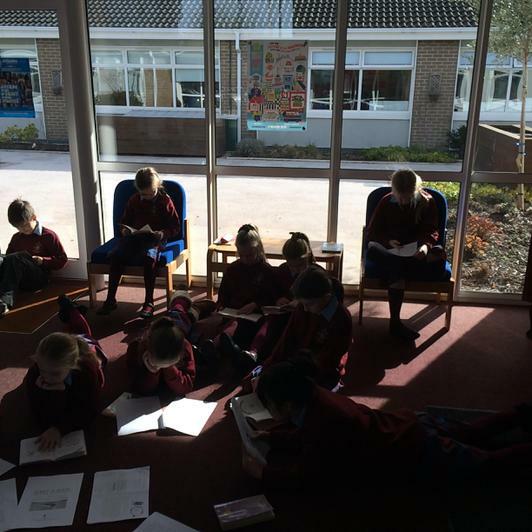 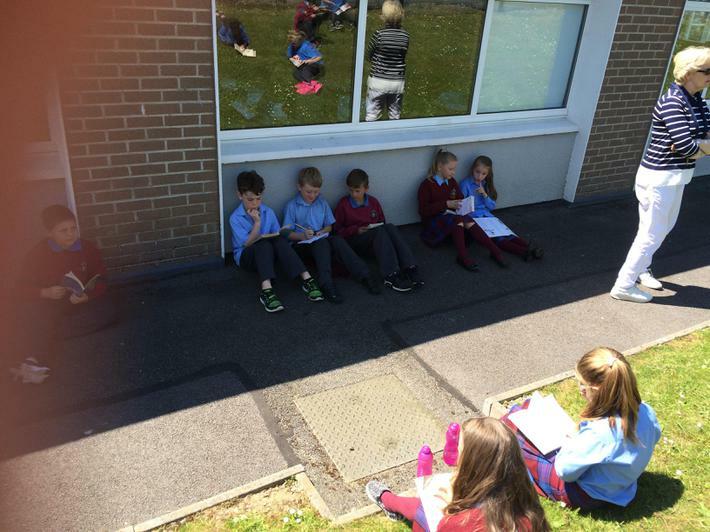 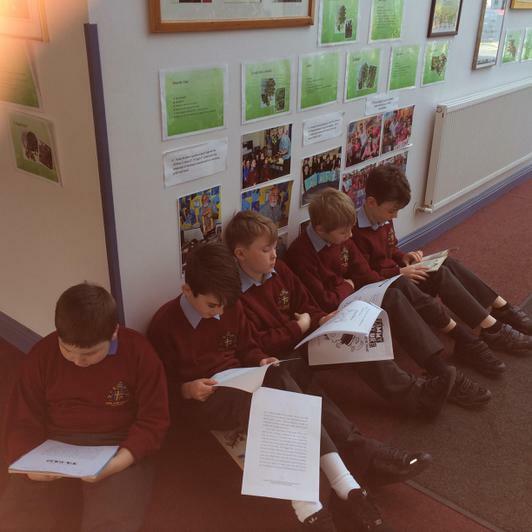 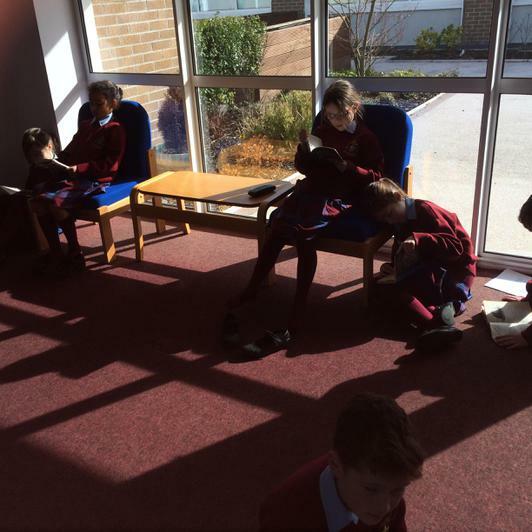 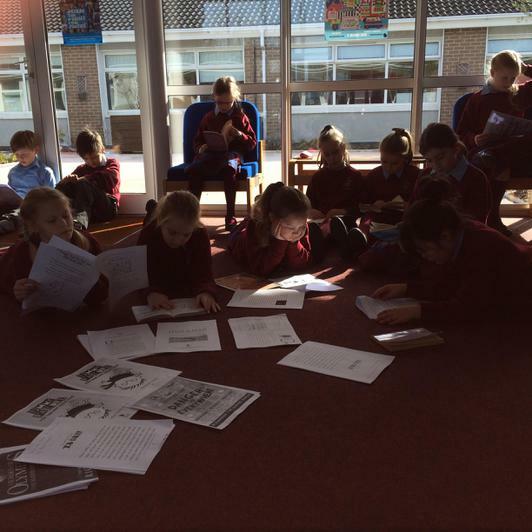 The children had an opportunity to read the opening paragraph of a number of books during DEAR time. 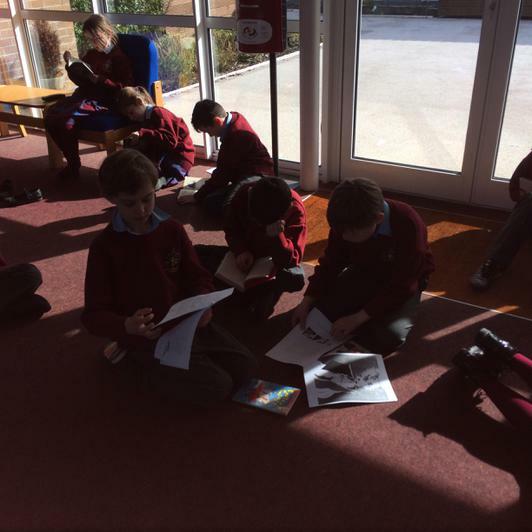 They also had time to read their own library books. 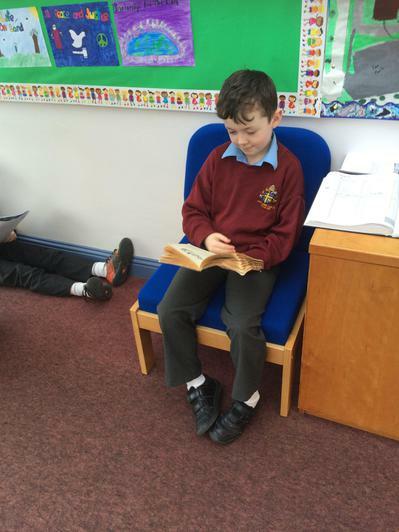 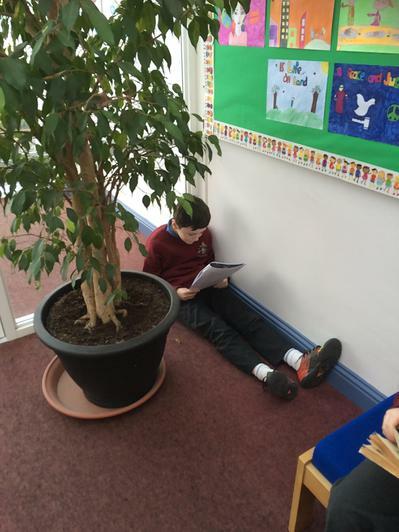 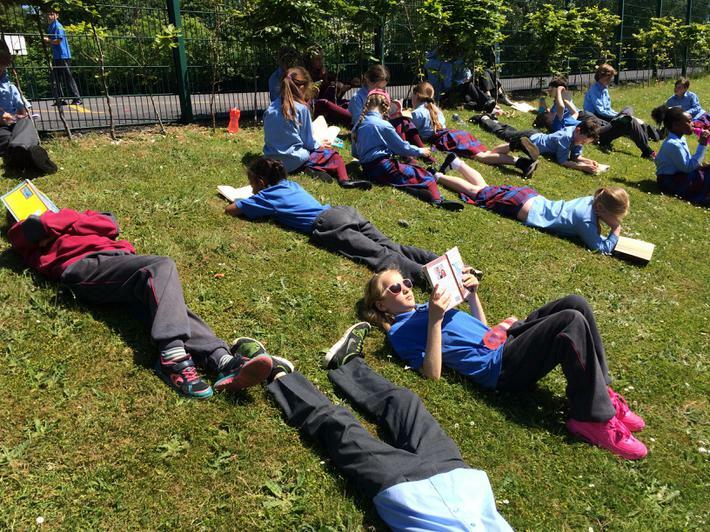 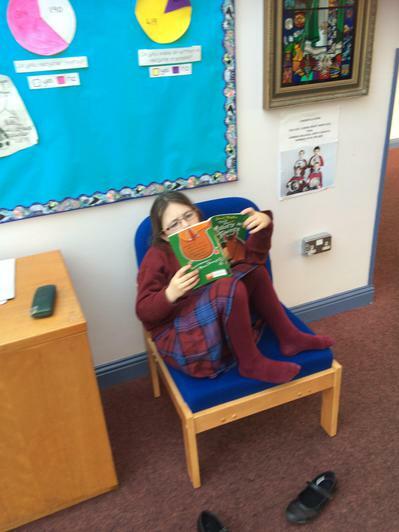 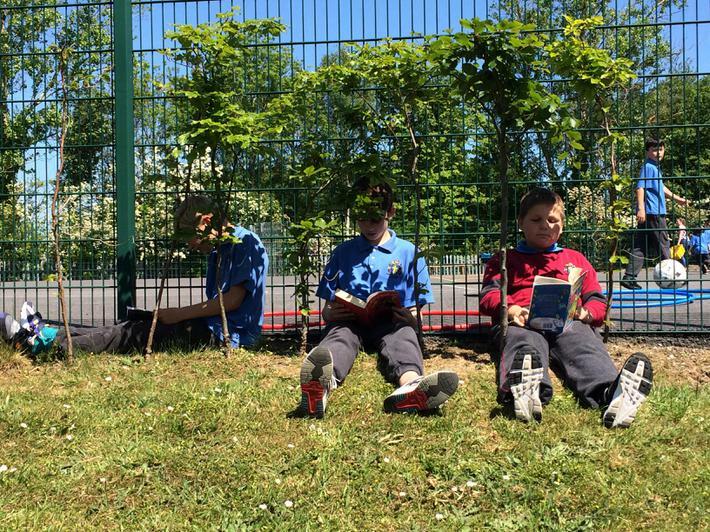 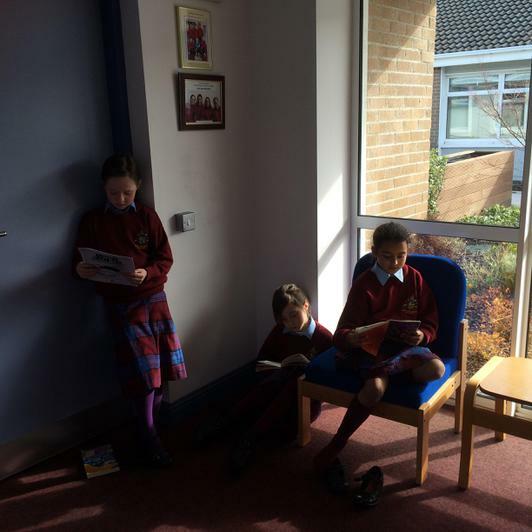 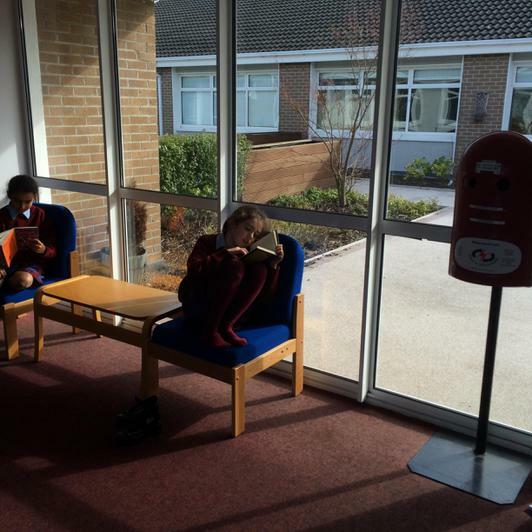 Each child found their own comfy spot to read their book. 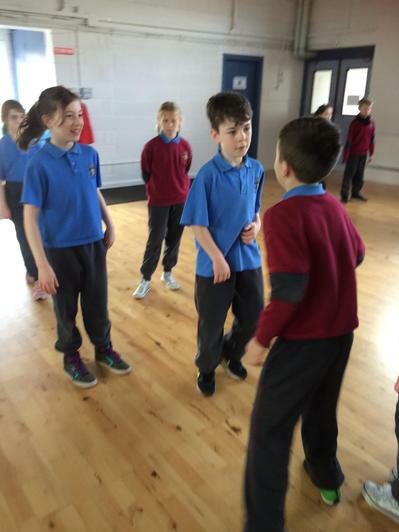 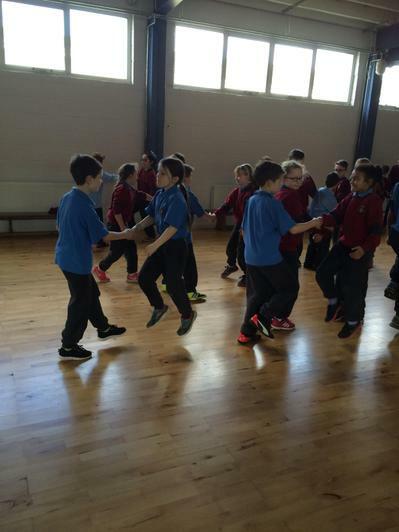 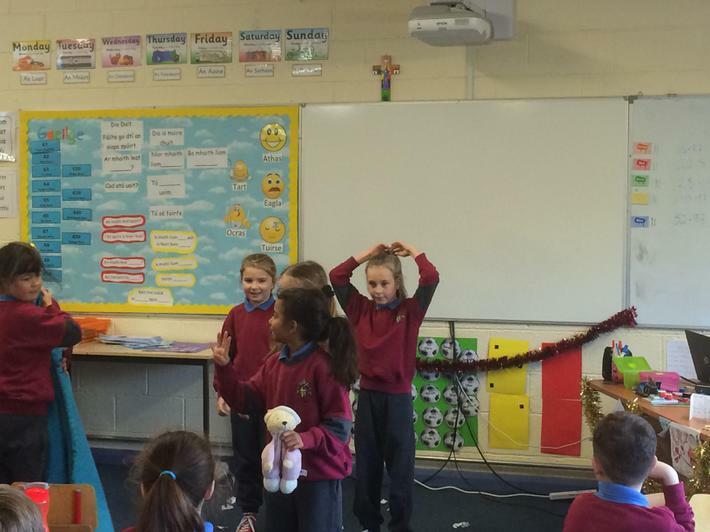 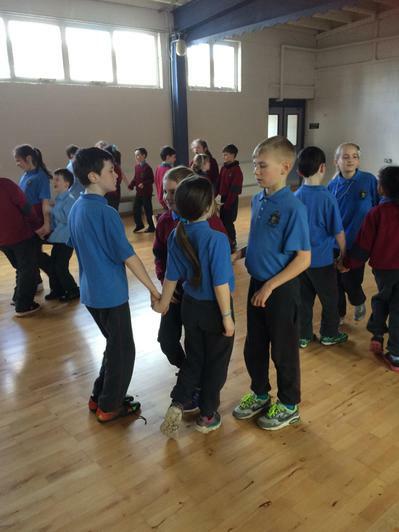 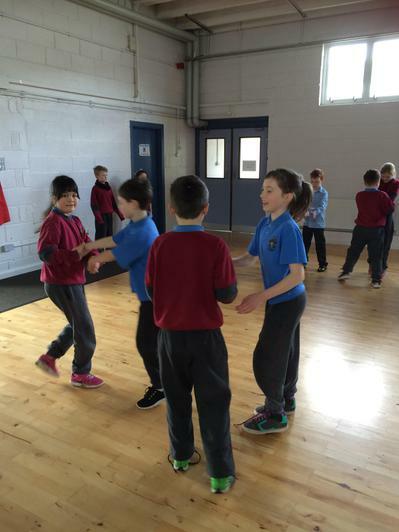 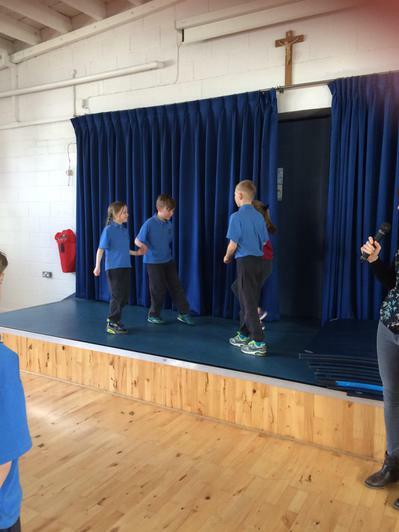 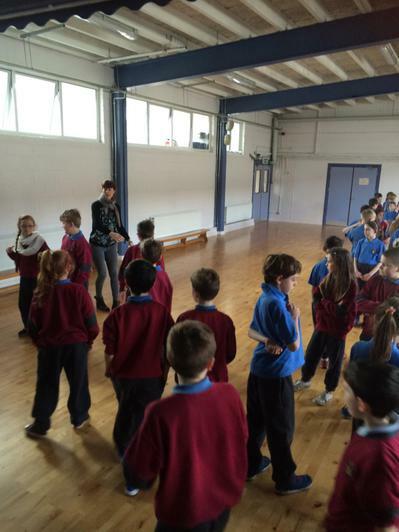 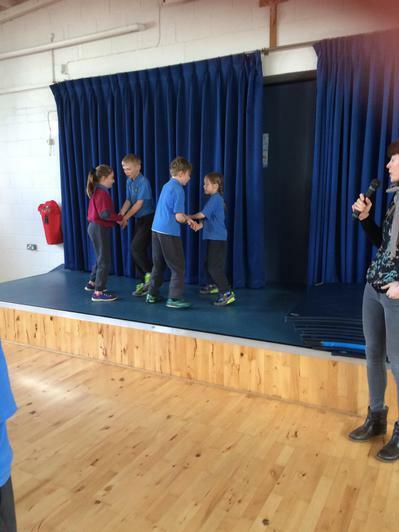 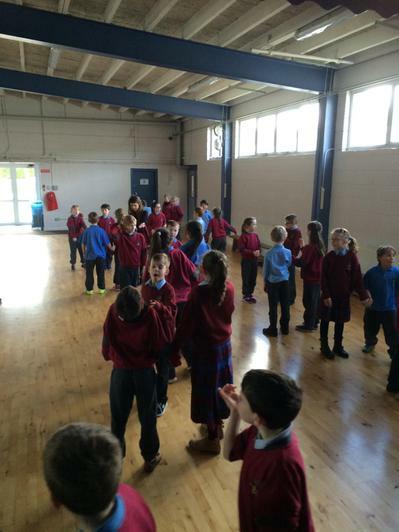 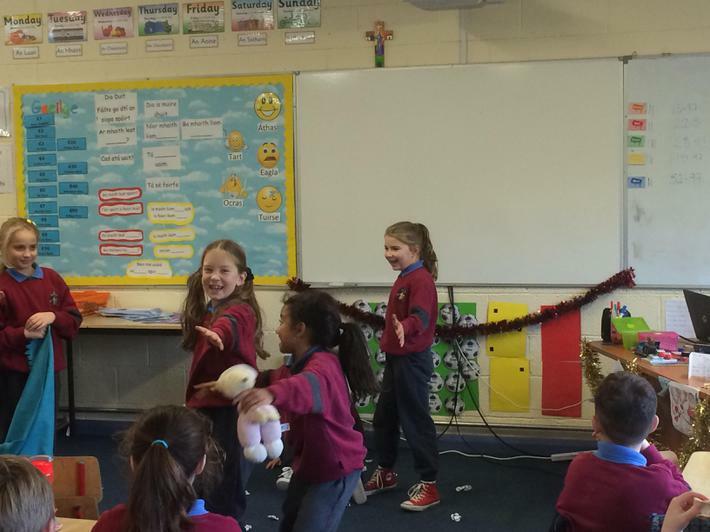 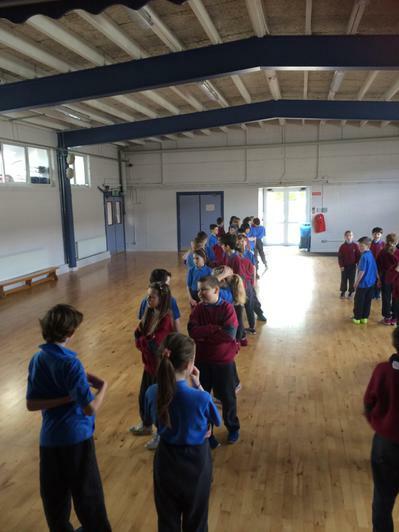 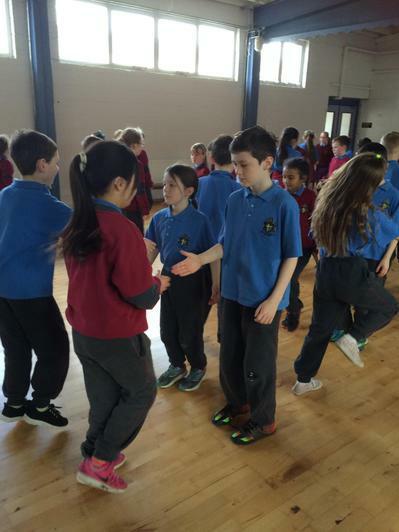 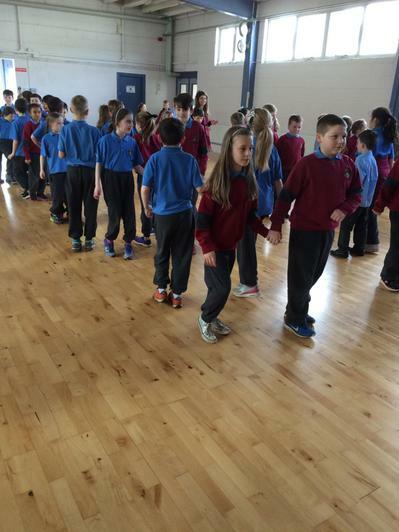 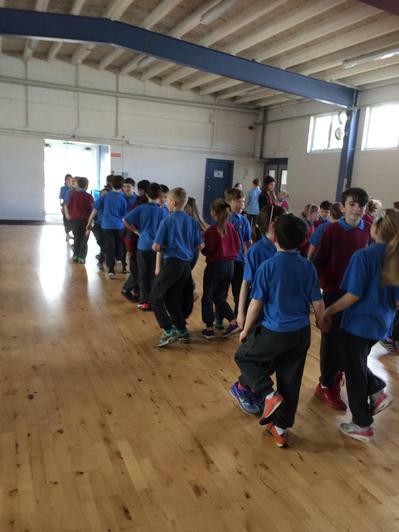 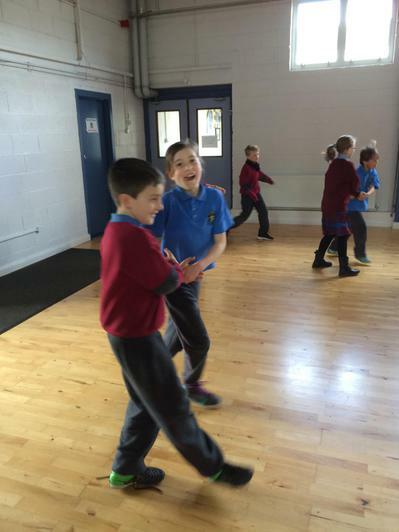 Below are some pictures of our Ceili from last week. 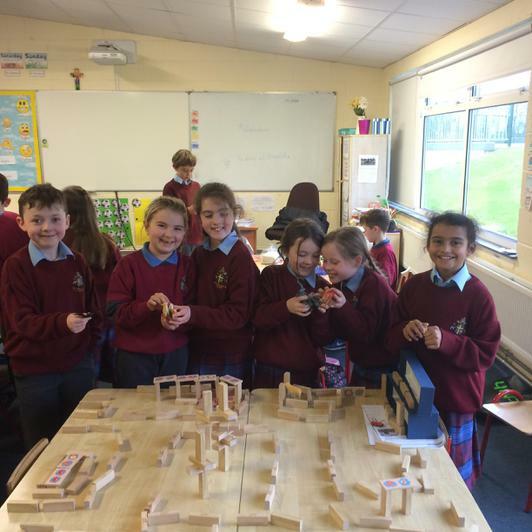 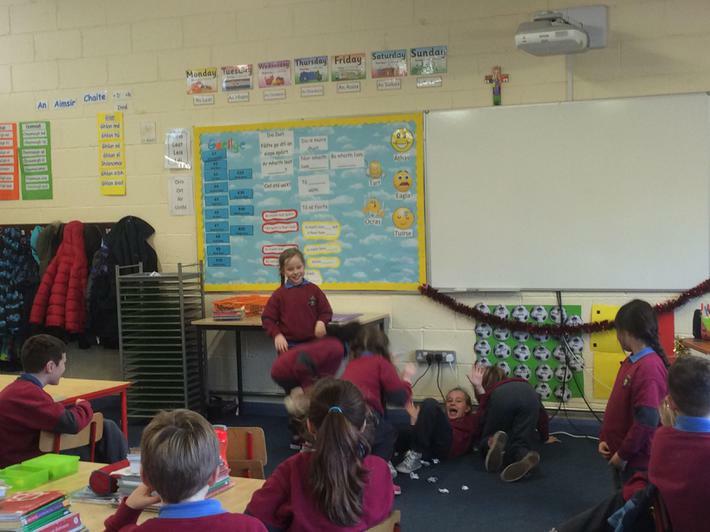 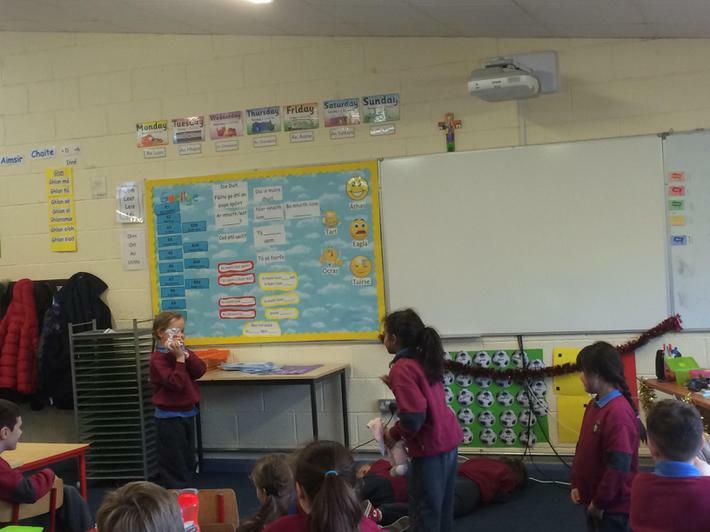 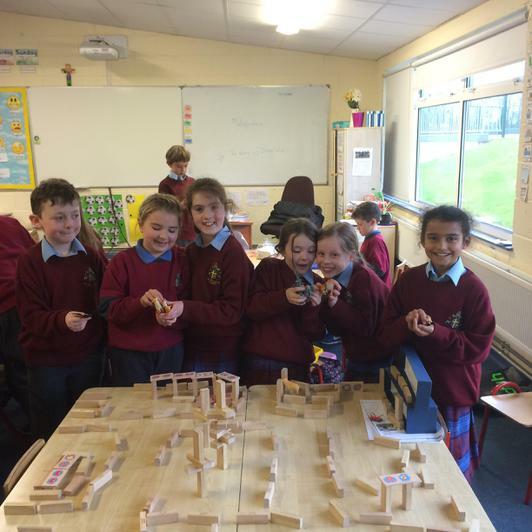 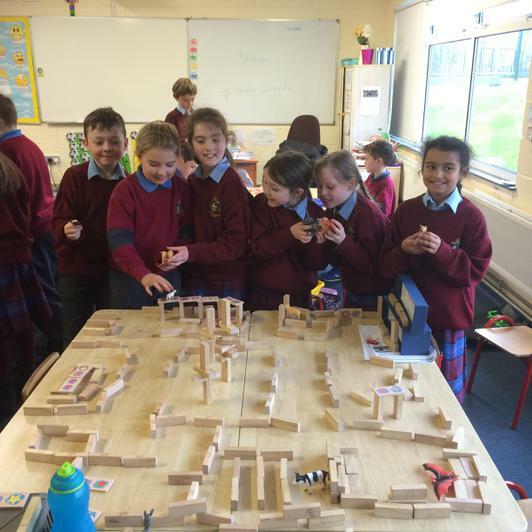 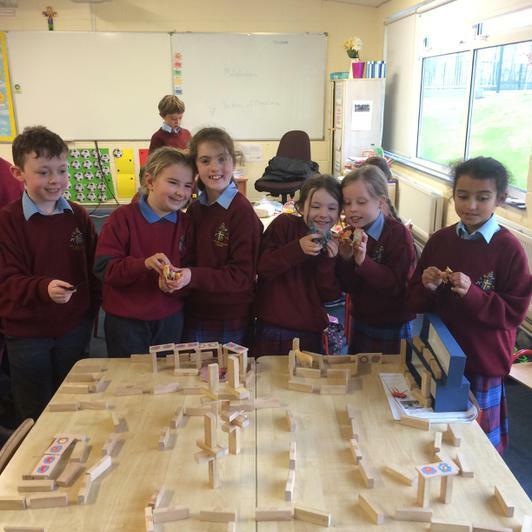 We learned the Siege of Ennis and The Walls of Limerick. 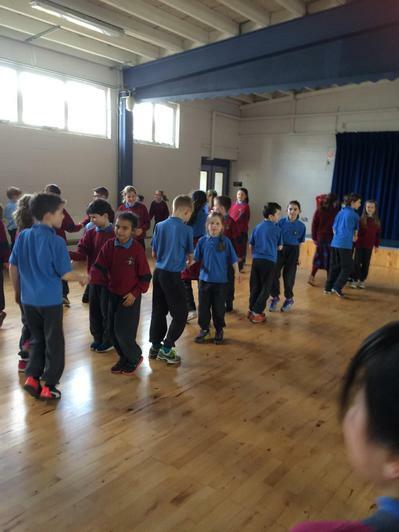 We performed both dances with two other 3rd classes. 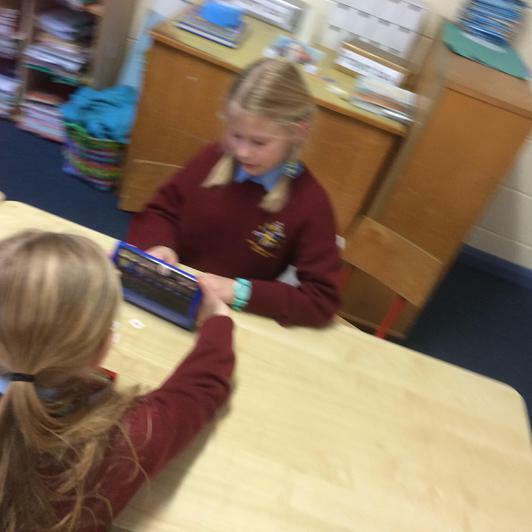 Last week, we reached our goal on our reward chart. 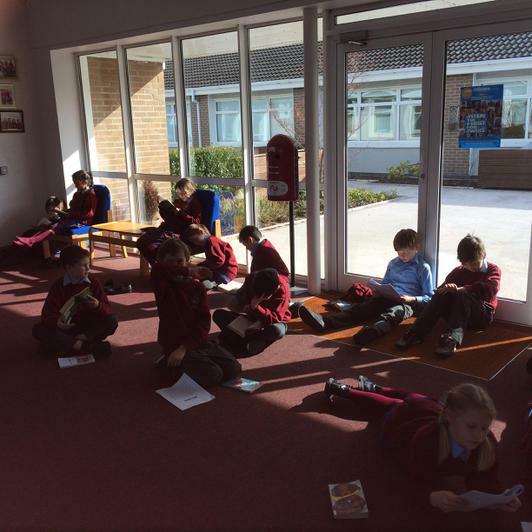 The children voted on what they would like as their reward. 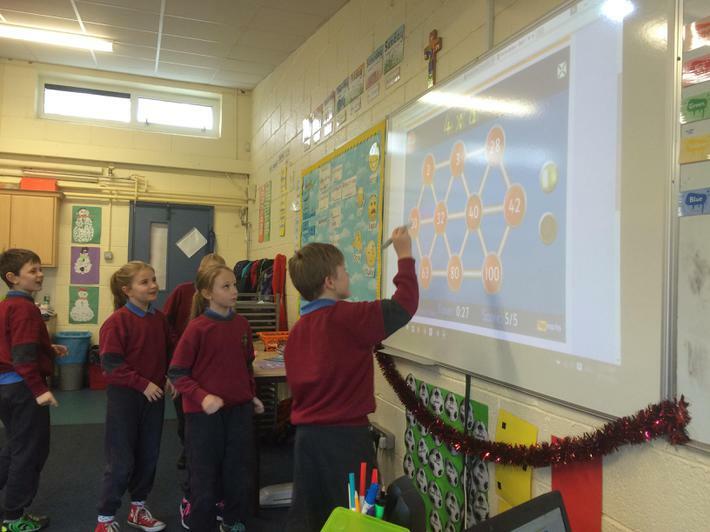 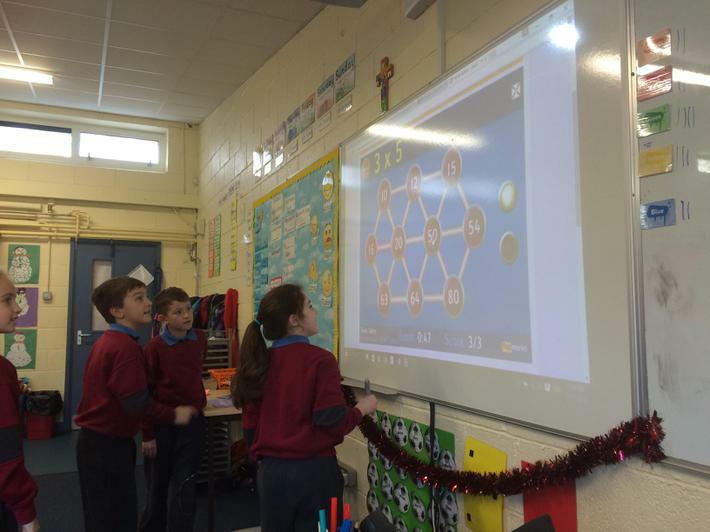 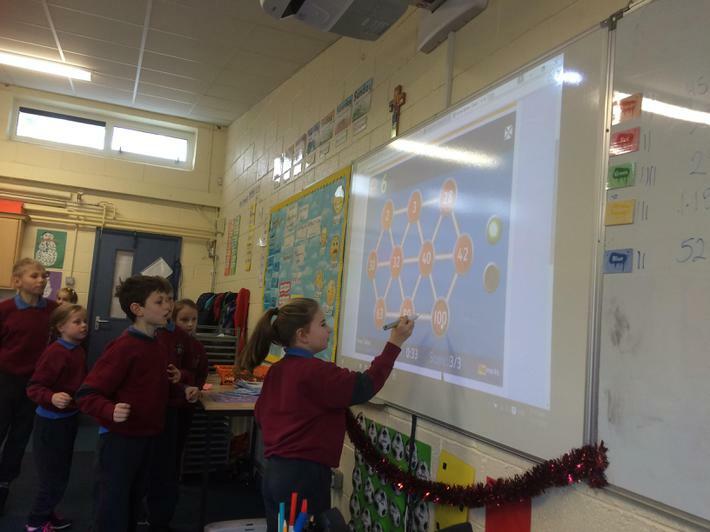 They decided on golden time. 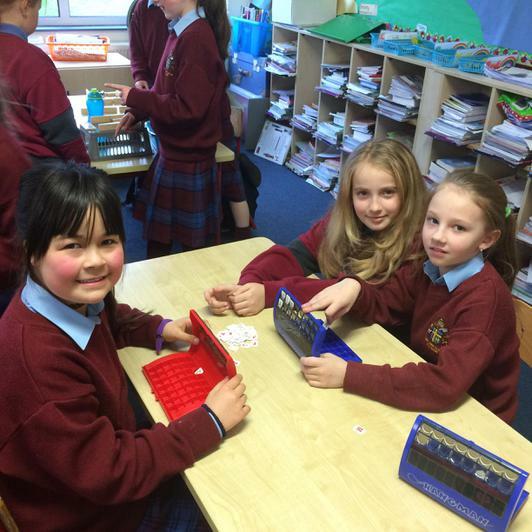 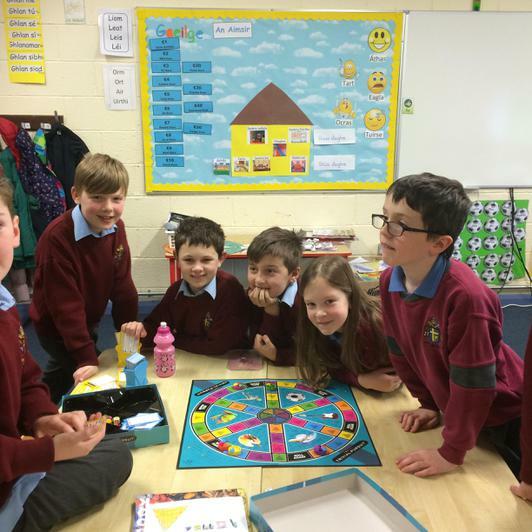 The children could bring in toys or board games from home or play with the toys in the classroom. 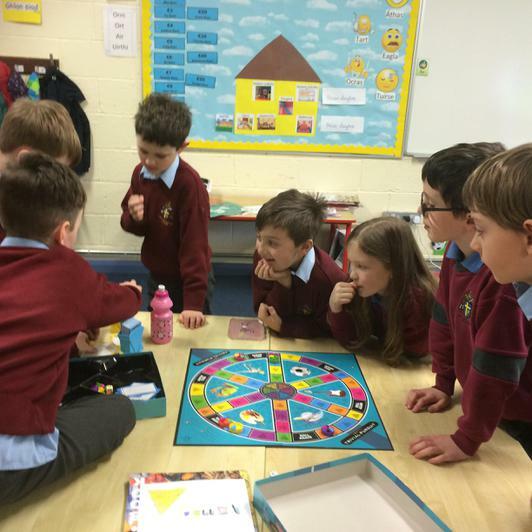 It was great fun 😊 We are now working towards our next goal. 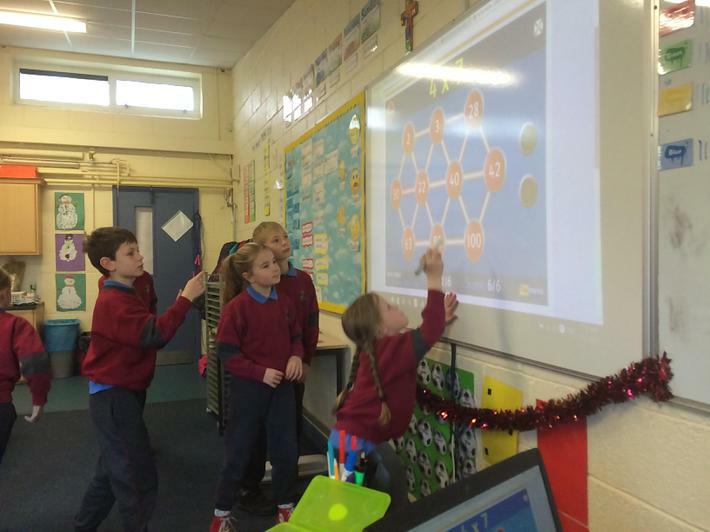 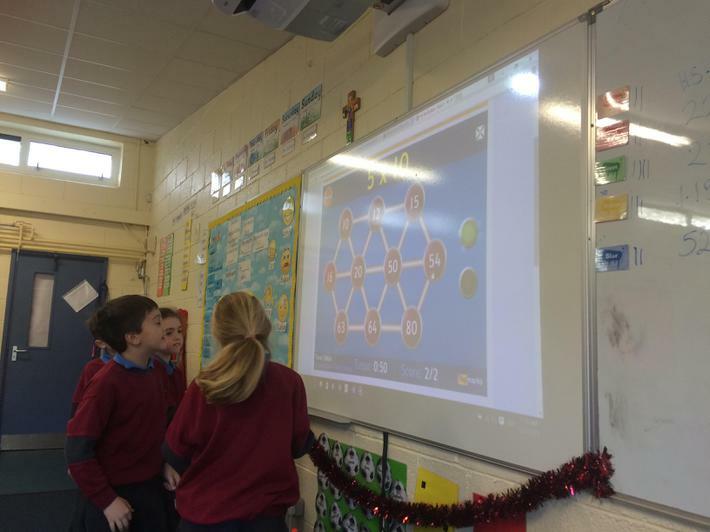 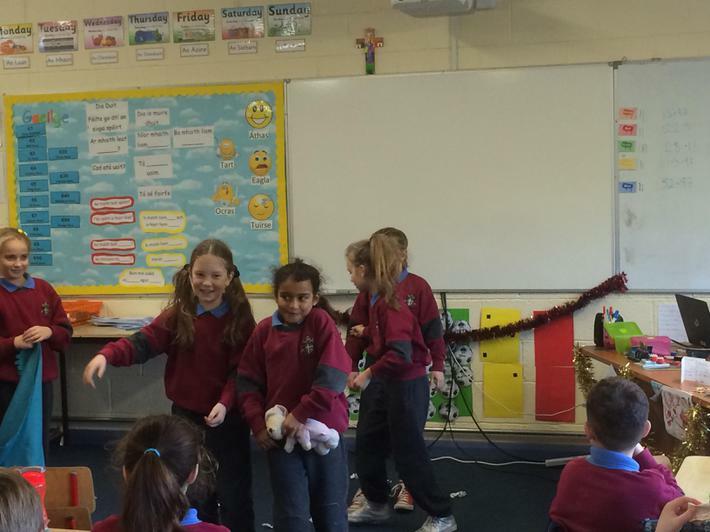 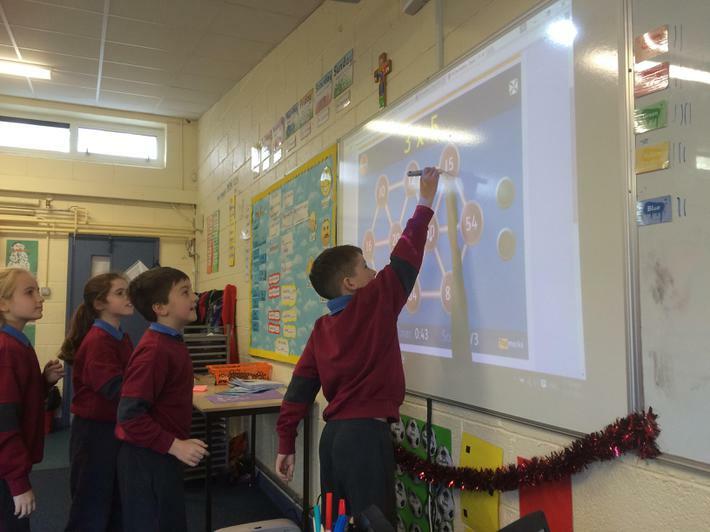 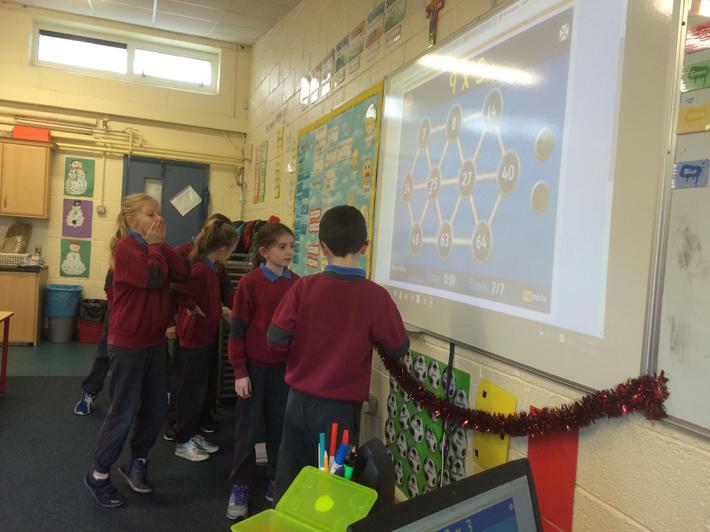 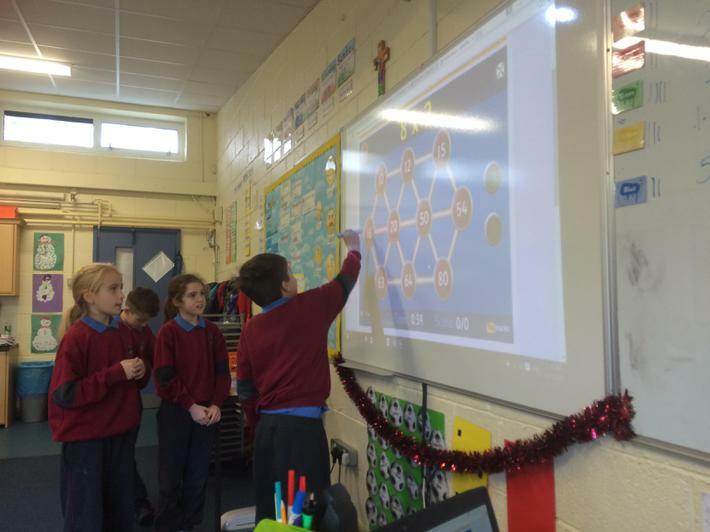 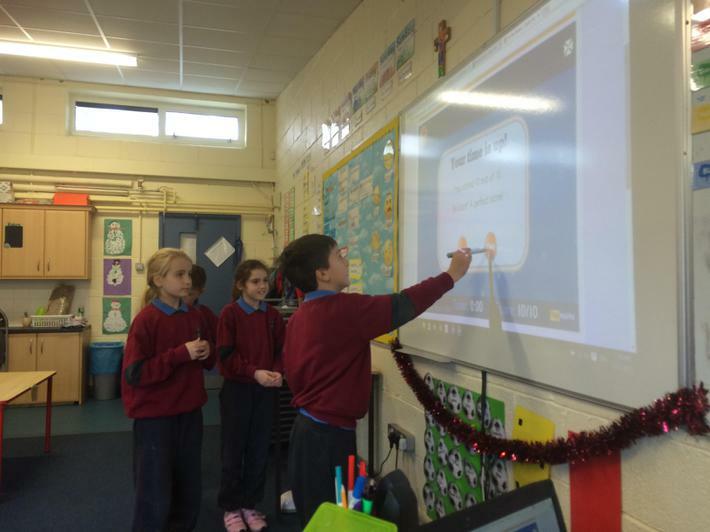 I hope everyone had a great Christmas is looking forward to coming back to school Below are pictures of some Christmas fun before the break. 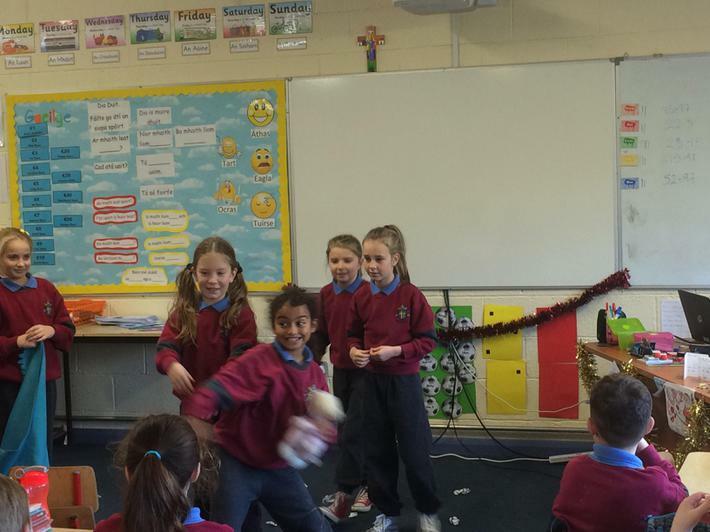 Today we had our Christmas Raffle. 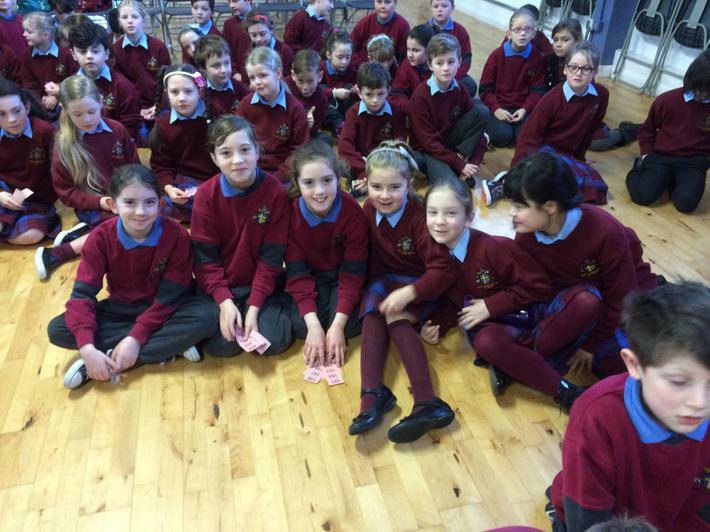 We had three winners from our class. 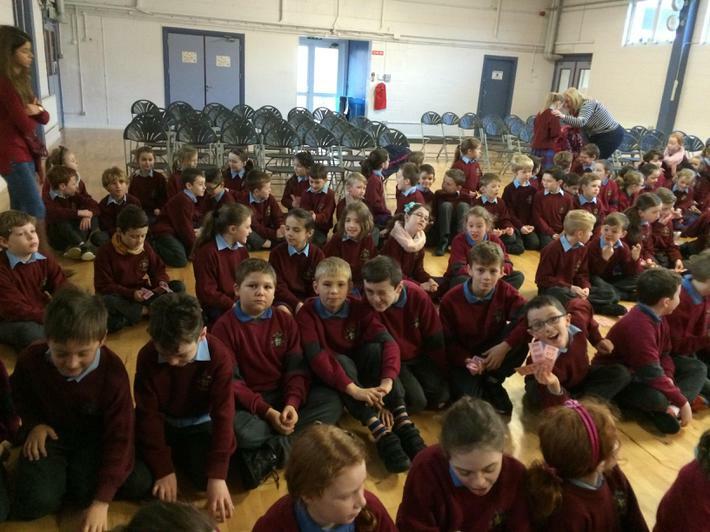 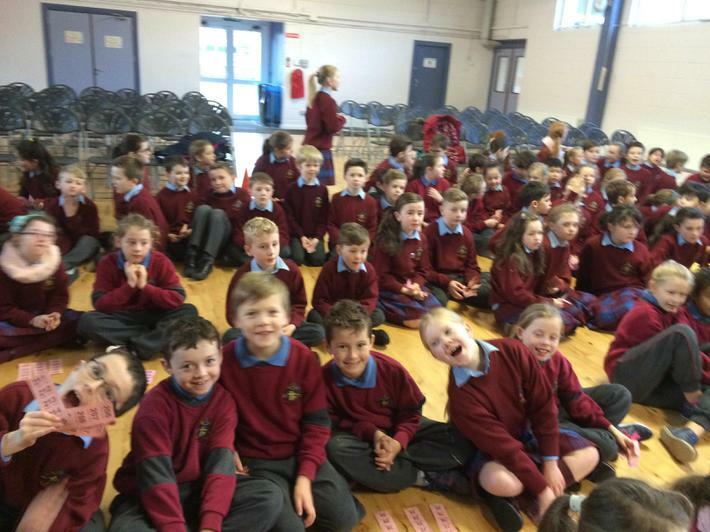 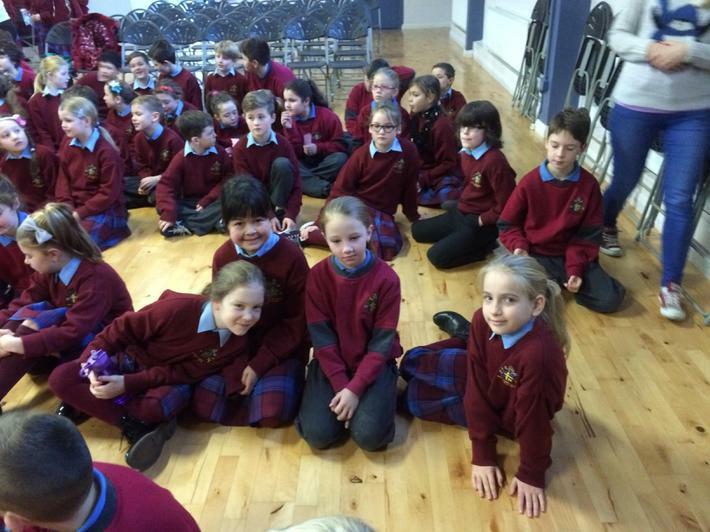 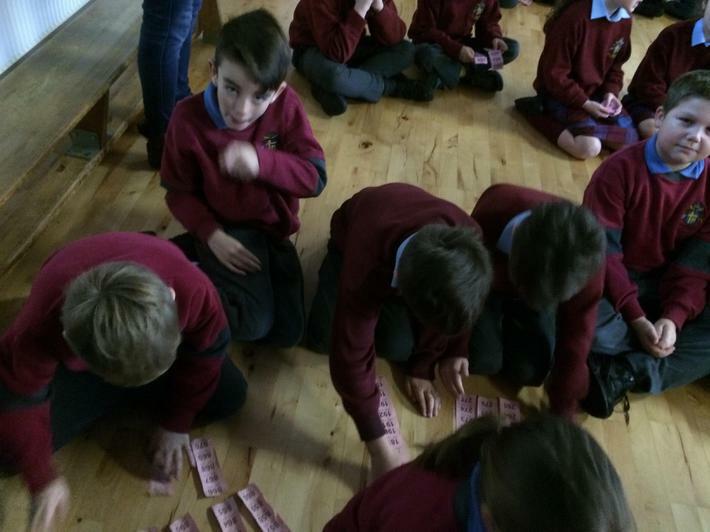 Below are some pictures of the children getting ready for the raffle.